One Direction is one of the most successful boy bands in history. They have had five top-selling albums and four UK number 1 hits, along with worldwide chart success. 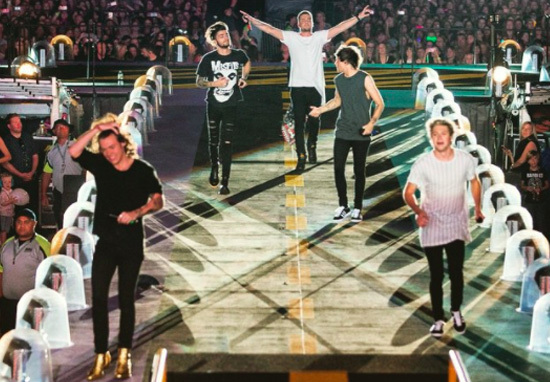 Who are One Direction, how old is each member, when are their birthdays, how tall are they and what are their backgrounds? One Direction are a British boy band. The original members of the group were Harry Styles, Niall Horan, Liam Payne, Louis Tomlinson and Zayn Malik. In early 2015 Zayn left the band. Harry was born on February 1, 1994 and is 24 years old, standing at 1.8 metres tall. He grew up in Holmes Chapel in Cheshire and had a part-time job in a bakery, along with singing in a band called White Eskimo before performing on The X Factor. Niall was born on September 13, 1993 and is 25 years old. He is 1.67 metres tall and was born in County Westmeath, Ireland. Niall also moved to the UK for The X Factor. Liam was born on August 29, 1993 and is 25 years old and 1.8 metres tall. Before joining One Direction, Liam grew up in Wolverhampton, England where he was a music technology student. Louis was born on December 24, 1991 and is 27 years old, and 1.75 metres tall. Before The X Factor Louis lived and grew up in Doncaster, England and had some small acting roles, including parts in the BBC drama Waterloo Road and ITV’s If I Had You. Zayn is 25 years old and was born on the January 12, 1993, he stands at 1.75 metres tall. He is from Bradford in West Yorkshire, and is of Pakistani and British descent. Why are One Direction famous and what do they do? One Direction are one of the most famous boy bands in the world. They have released five Number 1 albums and have had numerous Number 1 singles all over the world. They were discovered on ITV reality show The X Factor and have fans called ‘Directioners’ worldwide. 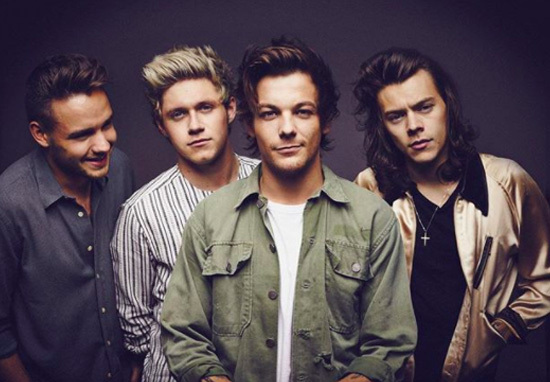 What are One Direction’s net worth? In 2013, each member of the band was reported to have had a net worth of £9 million. By the beginning of 2017, each member of the band was said to be worth over £50 million, and they were all included in the Sunday Times Under 30 Rich List. 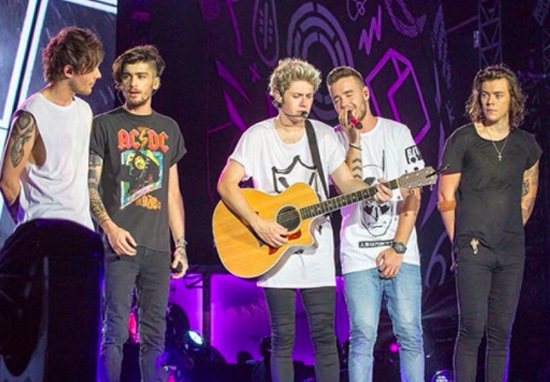 How much do One Direction earn? For the 12 months between June 2015 and June 2016, the band earned £90 million, mainly from touring, endorsements and royalties. Have One Direction broken up, why did Zayn Malik leave, are they on a hiatus, will they get back together? One Direction have not broken up. Amid rumours of tensions within the band due to Zayn’s reluctance to be part of the group, musical differences and the pressure of being in the spotlight and wanting to be a ‘normal’ person, Zayn left the band in March 2015. Since March 2016, the band has been on a career break and hiatus to allow the members to pursue their solo interests, and have a rest from their hectic touring schedule. They are set to get back together, but at the moment no concrete plans have been announced. Did One Direction win The X Factor, who was their mentor, how was One Direction formed? Before The X Factor in 2010 the boys did not know each other. They all auditioned for the show individually, but failed to make it into the ‘Boys’ category. However their potential was spotted (both Nicole Scherzinger and Simon Cowell claim it was their idea) and they were put together to form a five-piece boy band for the ‘Groups’ category. Simon Cowell was their mentor and they came third in the competition. Simon signed them to his record label, Syco Records, as soon as they were eliminated from The X Factor for a reported £2 million. What number one songs and albums has One Direction released, when were they released? One Direction has released five albums, which are: Up All Night released in 2011, Take Me Home released in 2012, Midnight Memories in 2013, Four released in 2014 and Made in the A.M. released in 2015. To date, One Direction have sold over 50 million albums and were the first band to have four albums debut at the number one spot on the US Billboard charts. In the UK, their debut album reached number 2, with all their subsequent albums reaching the top spot. The band has had four UK Number 1s: What Makes You Beautiful in 2011, Little Things in 2012, One Way or Another (Teenage Kicks) in 2013 and Drag Me Down in 2015. What awards have One Direction won? One Direction have won over 200 awards. These include 12 MTV Europe Music Awards, six US Billboard Awards, seven Brit Awards and an astonishing 28 UK Teen Choice awards from 2012 to 2016.